Product Details - 1 Fleece blanket (76 x 50 cm) 1 Microfibre towel (50 x 40 cm) 2 plush toys (6 inches each). Colours available - pink. Product Information- The ideal start for all puppy owners is this puppy kit from Trixie Great product for new puppies. Makes a great gift for your friends families new addition to the family. Basic essentials for a new puppy. Comes in attractive gift packing. 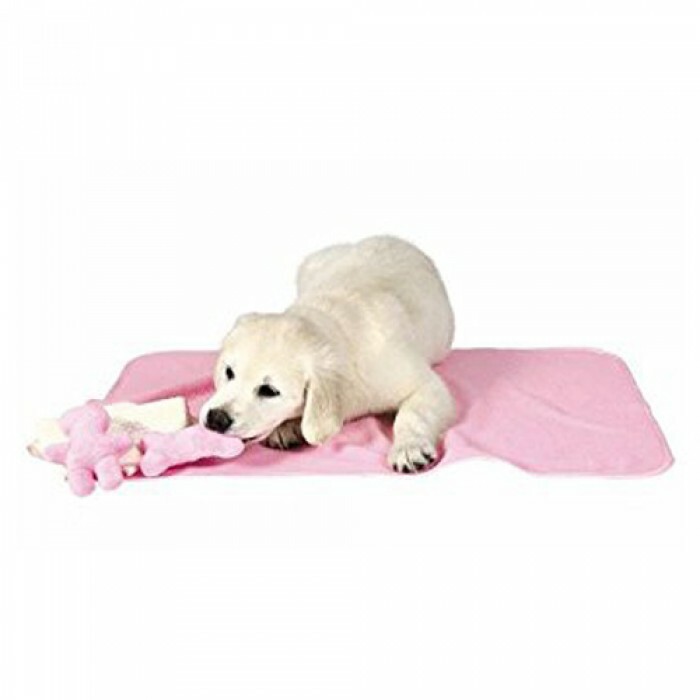 The towel is decorated in natural colors and with a cute paw print. . It represents a cozy place to sleep and protects example Upholstered furniture before animal hair.